Duncan Mac Naughton, the former U.S. chief merchant at Wal-Mart Stores, has been appointed president and COO of Family Dollar, parent company Dollar Tree said. Mac Naughton, 54, most recently served as CEO of Mills Fleet Farm, a 36-store discount retailer based in Appleton, Wisc. He has held numerous leadership roles at Wal-Mart Stores including chief merchandising officer for Walmart US from 2011-2014; EVP of consumables, health and wellness and Walmart.com from 2010 to 2011 and chief merchandising officer at Walmart Canada from 2009 to 2010. Prior to his experience at Walmart, Mac Naughton served as Supervalu’s president of merchandising and marketing. In his new role, Philbin’s responsibilities will include store operations, merchandising, marketing and real estate across all banners including Dollar Tree, Family Dollar and Dollar Tree Canada. He will continue to report to Bob Sasser, CEO. Mills Fleet Farm, which operates discount variety stores that sell sporting goods, farm equipment and auto accessories in the Upper Midwest, said Mac Naughton would be succeeded by Wayne Sales as interim CEO. Sales currently serves on Mills Fleet’s board of directors. 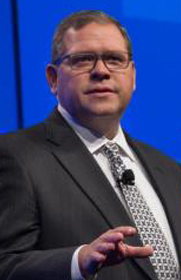 From 2012 to 2013, Sales served as chairman, CEO and president of Supervalu.